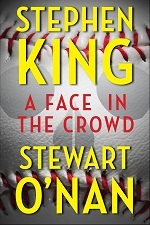 The latest novel by Stewart O’Nan (Speed Queen) is an ideal book for a rainy, tea-sipping afternoon. There’s a calm, enveloping tone to the story that belies its unflinching exploration of a woman’s chronically discontented heart. Readers of O’Nan’s earlier novel Wish You Were Here will recognize the Emily of the title as Emily Maxwell, now 80 and widowed and living alone with her dog, Rufus, in a classy residential neighborhood in Pittsburgh. Her husband died years ago, and her children have moved to other parts of the country with their own families. She has remained close to her late husband’s sister, Arlene, and the two of them make weekly forays in Arlene’s car to a breakfast buffet that offers a two-for-one deal on Tuesdays. This weekly brunch trip is both the high and the low point of Emily’s week. And it’s on one of these outings that we first catch a glimmer of Emily’s odd blend of affection, dependence and resentment toward those she’s closest to, a complicated attitude she holds without seeming to be aware of it herself. When Arlene collapses in a fainting spell at the buffet, Emily is suddenly forced into an independence she’d forgotten she could manage. Taking care of her sister-in-law and herself, and doing a good job of it, gives her a new confidence as she surveys her life and starts the hard work of reconciling herself to its approaching end. Not much actually happens in the story; its chief pleasure comes from unraveling this little old lady’s messy tangle of emotions. O’Nan never retreats from Emily’s less flattering qualities: she means well, but she can be hypercritical, tight with money, and hung up on outmoded courtesies, and she’s consistently surprised when others fail to take her own bleak view of things. It’s refreshing to see someone who could’ve been a stock character drawn so fully. In fact all the women in the book are well-realized; the men are peripheral, opaque or simply beside the point. That you never really miss them is a testament to Emily’s strength and complexity. She holds her own. Becky Ohlsen is a freelance writer in Portland, Oregon. 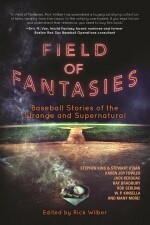 This entry was posted in Uncategorized and tagged bookpage, emily alone, reviews. Bookmark the permalink. 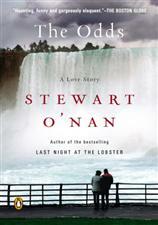 O’Nan is my favorite author. All of his books have characters with voices so unique to them, so strong, that he constantly amazes me. How is it that he can get these voices so right! As a 68 y/0 woman, Emily, of course, hits home for me personally, but all O’Nan’s characters are so right. As a much younger woman I loved John Gardner. It doesn’t surprise me that, as different as these two authors are, there was a connection.